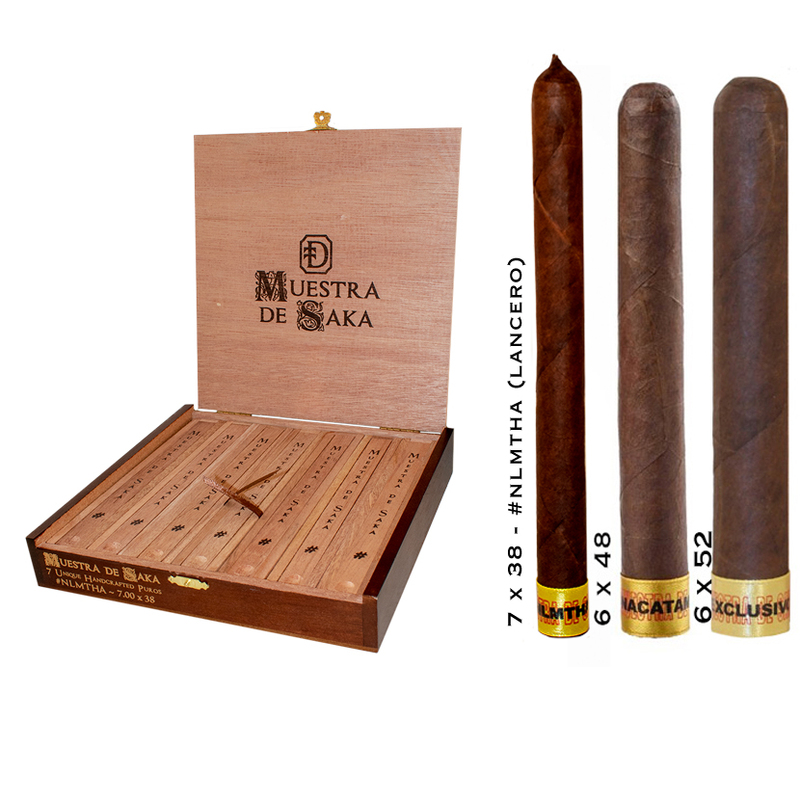 Muestro de Saka Cigars - Buy Premium Cigars Online From 2 Guys Cigars . Muestra de Saka is just that. A line of unique blends and vitolas made in extremely limited quantities that reflect the blending machinations of Saka. To smoke a Muestra de Saka is to embark upon a journey with Steve Saka in which he greatly welcomes your companionship. The Exclusivo was the first special liga and it contains tobacco from all four tobacco growing regions in Nicaragua; Condega, Esteli, Jalapa, Ometepe. The wrapper is from Habano seed and Steve Saka painstakenly selected only the best for this exquisite cigar that measures 6 x 52. The Nacatamale is the second special liga he created to be the ultimate expression of his love for the smoothest of Nicaraguan tripas. This exquisite cigar measures 6 x 48 and features binder and filler tobaccos grown on one farm in Jalapa, Nicarauga. The wrapper is a Ecuadorian Habano leaf that is as oily as they come.